This was Ko's first major title. Her previous best showing had been a runner-up finish at the 2015 Ricoh Women's British Open, when she was still a Korea LPGA member. South Korea's Park Sung-hyun is currently No. 1 with 7.06 points, and Ko has 5.62 points. The world rankings evaluate a player's performance over a rolling two-year period weighted in favor of the current year, and an extra emphasis is placed on the most recent 13 weeks. Lee took a step back with a bogey at the seventh, while Kim didn't make up any ground with six consecutive pars to make the turn at six-under. 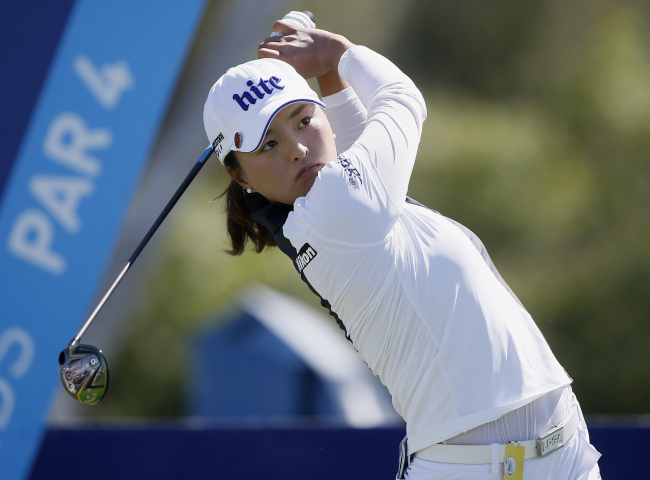 Ko had a birdie at the fifth and a bogey at the eighth to find herself at nine-under through the first nine holes. Ko, the 2016 KLPGA Player of the Year, had nine career wins on the domestic tour when she claimed her first LPGA victory at the KEB Hana Bank Championship on home soil in October 2017. That gave her exemption for the LPGA Tour for 2018, and Ko won her first official LPGA start in February last year at the ISPS Handa Women's Australian Open. She became only the second player in LPGA history to win in her debut. After handily winning the top rookie honors in 2018, Ko got off to an impressive start in 2019. She finished second in her title defense at the Australian Open. After tying for 29th in Thailand, Ko contended again the following week in Singapore, tying for third at the HSBC Women's World Championship.